Unless you're using Stickyworld for a private design review or similar small audience purpose, you'll want to get the word out to gather as many relevant eyeballs as possible. 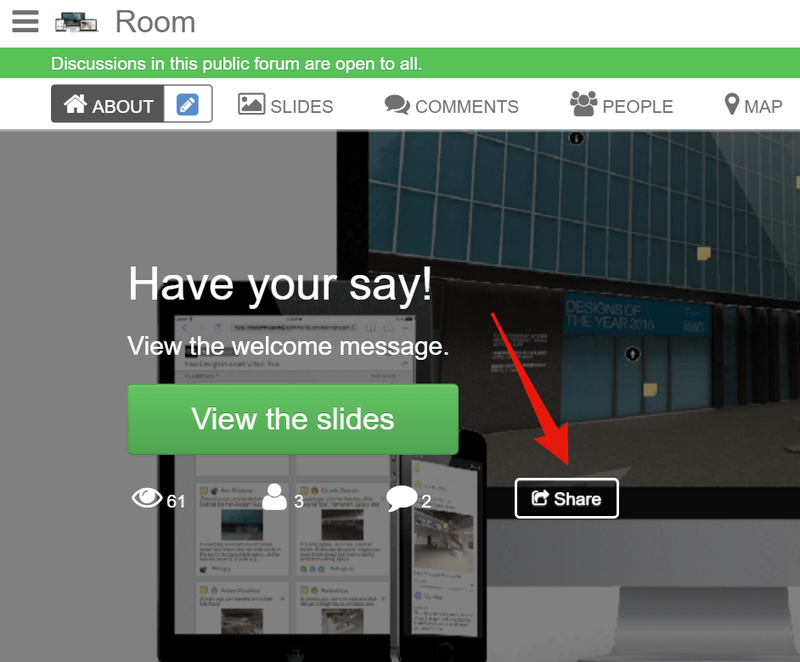 An easy way of doing that in Stickyworld is by using the Share button on your room's home page. 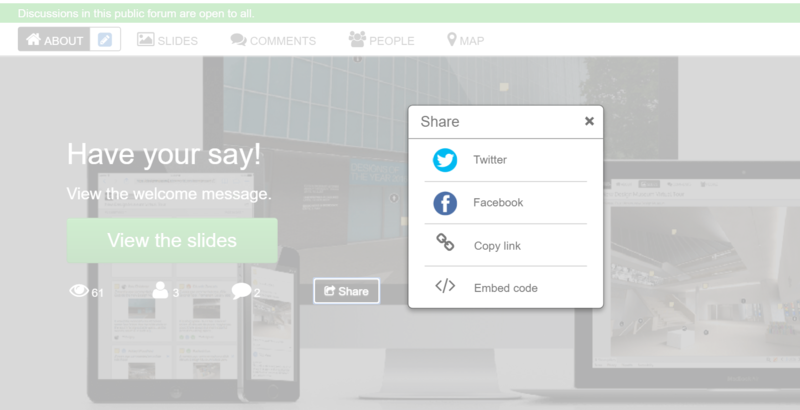 You'll be given the option of sharing to social media, a link to the room, and an embed code to place on your website. Just choose the option you want and send it out! Be sure to let us know in the comments below if you have any questions about sharing your Stickyworld room.